Abstract: VANET is an autonomous dynamic topology network where moving vehicles exchange their position information with each other. The basic objective of VANET is that all the nodes should be able to gather information about position of all the other nodes. Based on position information of other nodes, nodes can determine their course of action like changing route or changing speed and so on. Due to broadcasting nature of the message, Network runs a risk at broadcasting too many packets which puts a constraint on bandwidth, node battery and packet delivery success due to increased packet collision. Thus suitable technique should be adopted at the network layer that can limit both L2 and L3 type broadcasting depending upon the information about previous transmission, Neighbour state. Hence in this work we emphasize on adaptive probabilistic broadcast based routing from one unicast group to another and compare the performance with Probabilistic Broadcast based routing. In Probabilistic Broadcast every node broadcast packet with a probability P which depends upon several parameters including bit rate, number of transmitting and receiving nodes, path loss etc. To improve the probability of success we opt for adaptive probabilistic broadcast where delay of broadcast is adjusted according to state of success of current node and the same of the neighbour nodes. The adjustment factor is called beta whose values are varied in step to avoid drastic change in data rate. Proposed protocol is simulated with Erlang city's realistic simulation and a custom traffic scenario of road junction developed by us. Thus our simulation results show justifies the proposed technique over the other broadcast based routing protocols. Keywords: VANET, Probabilistic Broadcast based routing. 2. RF-GPS: RFID Assisted Localization in VANETs Eun-Kyu Lee, Sungwon Yang, Soon Y. Oh, and Mario Gerla Department of Computer Science University of California, Los Angeles. 3. Vehicular Ad Hoc Networks (VANETs):Challenges and Perspectives Saleh Yousefi1, Mahmoud Siadat Mousavi2, Mahmood Fathy1. Iran University of Science and Technology 2.ITS Persia Institute. 4. Comparing AODV and OLSR Routing Protocols Aleksandr Huhtonen Helsinki University of TechnologyTelecommunication Software and Multimedia Laboratory. 5. Intelligent OLSR Routing Protocol Optimization for VANETs Jamal Toutouh, Jos´e Garc´ıa-Nieto, and Enrique Alba,in press. 6. Probabilistic Broadcasting Protocol In AD HOC Network And Its Advancement: A Review Tasneem Bano1, Jyoti Singhai2 1Department of Computer Science And Engineering, MANIT, Bhopal, India. 7. Department of Electronics And Communication Engineering, MANIT, Bhopal, India, Novmber 2010. Abstract: This research is to study on the successfulness of the mobile game. An Angrybirds game has been chosen as a case study. One of the reasons of using Angry Birds as a case study is due to its high popularity worldwide, including our country Malaysia. It is so popular that even children at the age of 5-12 years old are also very familiar with this title. Due to that matter, a model adopted majorly through the adaptation of mobile game features stated by Mark Overmars and some little combination the Nielsen’s Ten Heuristics were used in order to design questionnaire for surveys. This study would identify the relationship among Games Design, Controls, Social Features, Assets and Navigational Features in determining mobile game successfulness. Based on the finding, it seems that there is a significant relationship between Games Design, Controls, Social Features, Assets and Navigational Features in Mobile Game Features. Keywords: Mobile Game, paper-based survey, online survey. 1. European Games Developer Federation (2010). White Paper of the Mobile Games of Europe. 2. George Winslow (2012, June 28). Research: Games are now Top Money-Maker on Tablets, Games are now “top monetizable content category” on tablets according to a new study from Magid and PlayFirst, Broadcasting & Cable. 3. Jon Mundy (2010, October 13). Interview: Rovio on the origin of Angry Birds, being inspired by swine flu, and why you may never see an Angry Birds 2. 4. Matthew Shaer (2010, November 29). Angry Birds bound for X-box, PlayStation. Angry Birds, a popular smartpone application, will soon be available as a console title. 5. Maura Bouca (2012). Angry Birds, Uncommitted Players. IT University of Copenhagen, Rued Langaards Vej 7, DK-2300 Copenhagen S.
6. Ola Davidsson, Johan Peitz, Staffan Bjork (2004). Game Design Patterns for Mobile Games. Abstract: Rational Dither Modulation (RDM) is an efficient method of watermarking which is sensitive to variations in the amplitude of signals. In the digital world, images are available in various formats. They are simple to copy and resell without any loss of quality. In Digital Asset Management System (DAMS), media data is handled in compressed and encrypted form. It becomes necessary to watermark this form of data to copyright management purpose, ownership declaration and tamper detection. By watermarking the compressed and encrypted data, there is degradation of an image quality. Rational Dither Modulation is an alternative to Quantization Index Modulation with volumetric invariance. In the proposed scheme, using compression, the information of raw media is packed and an encryption algorithm randomize the compressed bit stream. Rational Dither Modulation embeds watermark in the compressed and encrypted domain and extraction of watermark can be done in encrypted and decrypted domain. The digital media is often distributed by multiple levels of distributors in encrypted and compressed form. Rational Dither Modulation investigates security, perceptual quality, embedding capacity and robustness. Keywords: Rational Dither Modulation, Spread Spectrum, Scalar Costa Scheme and Quantization Index Modulation, Digital Right Management, JPEG2000, Stream Cipher. 1. A. V. Subramanyam, Sabu Emmanual and Mohan S. Kankanhalli, “Robust Watermarking Of Compressed & Encrypted JPEG2000 Images”, IEEE Trans. On Multimedia, vol. 14, no. 3,Jun. 2012. 2. A. Subramanyam, S. Emmanuel, and M. Kankanhalli, “Compressed encrypted domain JPEG2000 image watermarking”, in Proc. IEEE Int. Conf. Multimedia and Expo, 2010, pp. 1315–1320. 3. T. Bianchi, A. Piva, and M. Barni, “Composite signal representation for fast and storage-efficient processing of encrypted signals”, IEEE Trans. Inf. Forensics Security, vol. 5, no. 1, pp. 180–187, Mar. 2010. 4. T. Thomas, S. Emmanuel, A. Subramanyam, and M. Kankanhalli, “Joint watermarking scheme for multiparty multilevel DRM architecture”, IEEE Trans. Inf. Forensics Security, vol. 4, no. 4, pp. 758–767, Dec. 2009. 5. Arvind Kumar Parthsarathy and Subhash Kak, "An Improved Method of Content Based Image Watermarking", IEEE Trans. On Broadcasting, Vol 53, No.2, Jun 2007. 6. F. Perez-Gonzalez, C. Mosquera, M. Barni, and A. Abrardo, “Rational dither modulation: A high-rate data-hiding method invariant to gain attacks”, IEEE Trans. Signal Process., vol. 53, no. 10, pt. 2, pp.3960–3975, Oct. 2005. 7. J. Eggers, R. Bauml, R. Tzschoppe, and B. Girod, “Scalar costa scheme for information embedding”, IEEE Trans. Signal Process., vol. 51, no. 4, pp. 1003–1019, Apr. 2003. 8. YiweiWang, John F. Doherty, Robert E. Van Dyck "A Wavelet-Based Watermarking Algorithm for Ownership Verification of Digital Images", IEEE Trans. on Image processing , Vol. 11, No. 2, Feb 2002. 9. N. Memon and P. Wong, “A buyer-seller watermarking protocol”, IEEE Trans. Image Process., vol. 10, no. 4, pp. 643–649, Apr. 2001. 10. Khalid Sayood, “Introduction to Data Compression”, 3rd ed. 11. Chih-Wei Tang and Hsueh-Ming Hang, “A Feature-Based Robust Digital Image Watermarking Scheme”, IEEE Transactions on Signal Processing, vol. 51, no. 4, April 2003. 12. Dalel Bouslimi, Gouenou Coatrieux, Michel Cozic, and Christian Roux, “A Joint Encryption/Watermarking System for Verifying the Reliability of Medical Images”, IEEE Transactions on Information Technology in Biomedicine, vol. 16, no. 5, September 2012. 13. Xiangyang Wang, Jun Wu, and Panpan Niu, “A New Digital Image Watermarking Algorithm Resilient to Desynchronization Attacks”, IEEE Transactions on Information Forensics and Security, vol. 2, no. 4, December 2007. 14. Qibin Sun and Shih-Fu Chang, “A Secure and Robust Digital Signature Scheme for JPEG2000 Image Authentication”, IEEE Transactions on Multimedia, vol. 7, no. 3, June 2005. Abstract: This paper is an overview of the impact of photovoltaic solar energy conversion on the environment. The paper presents development of photovoltaic cells, the need for environmental assessment of energy sources, methodology framework for the assessment and the normalization and valuation. The photovoltaic solar cell is reviewed in respect to hazard like pollution caused by the chemical components and cost incurred. The paper also presents the life-cycle analysis of solar cell. Keywords: Silicon, Environment, Photovoltaic, Life-Cycle, Pollution. 1. Miquel A. Aguado-Monsonet: “The environmental Impact of Photovoltaic Technology (Task 6- Intersudmed Project)” European Commission Joint Research Centre, Spain, January 1998. 3. K. Ladwig : “Potential Health and Environmental Impacts Associated with the Manufacture and Use of Photovoltaic Cells”, EPRI, Palo Alto, CA, and California Energy Commission, Sacramento, CA:2003. 1000095. 5. Anyaka B. O., “Technical and Economic Evaluation of Photovotaic Power Generation”, Journal Research in Engineering Vol. 8, No. 3, 2011. Pp. 1-3. Abstract: This paper investigates the usage of Fuzzy Logic Controller (FLC) in controlling the liquid level in the second tank of Coupled-Tanks plant through variable manipulation of liquid pump in the first tank. System modeling involves developing a mathematical model by applying the fundamental physical laws of science and engineering. Simulation studies are then conducted based on the developed model using MatlabR2012a for Simulink. In this papers also study behavior system in terms of time response (e.g., steady state error, a certain rise-time, and overshoot) and compare FLC adverse PID controller. Keywords: Fuzzy Logic Controller, Simulink, System Model. 1. Katsuhiko Ogata, “Modern Control Engineering“, Fifth Edition, 2010, 905pp. 2. User's Guide of Matlab for Fuzzy Logic Toolbox.2012.B. 3. Elmer P. Dadios," Fuzzy Logic – Controls, Concepts, Theories and Applications", First Edition ,Janeza Trdine 9, 51000 Rijeka, Croatia, 2012,428pp. 4. Zdenko Kovaˇci´and Stjepan Bogdan"Fuzzy Controller Design Theory and Applications", CRC Press Taylor & Francis Group, 2006,392pp. 5. Carlos A. Smith, Ph.D., P.E. &Armando B. Corripio, Ph.D., P.E. "Principles and Practice of Automatic Process Control" Second Edition, 1997,783pp. 6. S. N. Sivanandam, S. Sumathi and S. N. Deepa"Introduction to Fuzzy Logic using MATLAB",Springer-Verlag Berlin Heidelberg 2007,441pp. 7. P. Berk*, D. Stajnko, P. Vindis, B. Mursec, M. Lakota "Synthesis water level control by fuzzy logic" International OCSCO World Press, Volume 45,Issue 2,April 2011,pp.204-210. 8. Dharamniwas , Aziz Ahmad , Varun Redhu and Umesh Gupta," Liquid Level Control by using Fuzzy Logic Controller", International Journal of Advances in Engineering & Technology, July 2012. Vol. 4, Issue 1, pp. 537-549. 9. G.Sakthivel & T.S.Anandhi & S.P.Natarajan," Design of Fuzzy Logic Controller for a Spherical tank system and Its Real Time Implementation",G.Sakthivel,T.S.Anandhi,S.P.Natarajan/ International Journal of Engineering Research and Applications (IJERA), Vol. 1, Issue 3, pp.934-940. 11. Abdul Rasyid Bin Mohammd Ali,"Optimization of Controller Parameters for A Couple Tanks System using Metamodelling Technique",Thesis submitted for Bachelor of Electrical Engineering (Mechatronics), University Technology Malaysia, 2009,147 pp. Abstract: The dielectric relaxation study at microwave frequency gives information about solute(Methanol)–solvent (Balantkadha)-interaction and liquid structure of mixture. The objective of the present paper is to report the dielectric relaxation study of above system using Time Domain Reflectometry (TDR) in the temperature range 150C to 450C.The information related to the solute-solvent interaction has been carried out related to the static dielectric permittivity and relaxation time in the mixture of Ayurvedic Medicine-Balantkadha and Methanol. Dielectric relaxation study of Balantkadha used in Gynaec problems has been carried out at 150C, 250C, 350C and 450C in the frequency range 10 MHz to 20 GHz for 11 different concentrations of the system. Time Domain Reflectometry (TDR) Technique in reflection mode has been used to measure dielectric parameters viz. Dielectric loss (), Static dielectric permittivity (0) and relaxation Time (). Further, Fourier transforms and least square fit method has been used to obtain dielectric parameters. With change in concentration and temperature, the systematic changes in dielectric parameters are observed. Keywords: Dielectric loss, Permittivity, Relaxation time, Time domain Reflectometry. 1. M. T. Hosamani, R. H. Fattepur, D. K. Deshpande and S. C. Mehrotra, J.Chem.soc. Faraday Trans91 (4) (1995) 623. 2. C. E. Shannon, Proc.IRE, 37 (1949)10. 3. R. H. Cole, J. G. Berbarian,S. Mashimo, G. Chryssikos, A. Burns and E. Tombari, J.Appl.Phys.,66 (1989) 793. 6. A. C. Kumbharkhane, S. N. Helambe and S. C. Mehrotra, J. Chemical Physics, 23(1993)2205. 9. M. T. Hosamani, R. H. Fattepur,D. K. Deshpande and S.C.Mehrotra, J.Chem.soc. Faraday Trans91 (4) (1995) 623. 1. M. S. Dhaliwal (2008) Handbook of vegetable crops. Pp.1-389. Kalyani Publishers, Ludhiana. 2. I. M. Dokas (2005) Developing Web Sites For Web Based Expert System: AWeb Engineering. Proceedings of the Information Technologies in Environmental Engineering (ITEE): 202-17. 3. S. Dongare (2009) Powerful Utilization of Open Source Software in Digital Preservation, Maintenance and Utilization: An Example of the Creation of Union Catalogue of Serials for Astronomy Libraries in India. 7th International CALIBER, Pondicherry University, Puducherry, Ahmedabad. pp 48-52. 4. N. Hatzigeorgiu and A. Syropoulos (1999) New technologies for rapid development of web orientated database applications. ACM SIGCUE Outlook 21(1):25-31. 5. O. I. Eldai, A. H. M. H. Ali and S. Raviraja (2008) Towards a New Methodology for Developing Web-Based systems, World Academy of Science, Engineering and Technology 46:190-95. 6. C. Pahl and E. Holohan (2009) Applications of Semantic Web Technology to Support Learning Content Development. Interdisciplinary J of E-Learning and Learning Objects 5:1-25. 7. H. S. Saini, R. Kamal and A. N. Sharma (2002) Web based fuzzy expert system for integrated pest management in soyabean. Int J of I T 8(1):54-74. 8. P. K. Singh and H. N. Prasad (2011) Access Web-based Electronic Resources in Agricultural Research. Trends in Biosciences 4(1):5-7. 9. L. Titchkosky, M. Arlitt and C. Williamson (2003) Performance Benchmarking of Dynamic Web Technologies. Abstract: A wind turbine is a device that converts kinetic energy from the wind, into mechanical energy; energy known as wind energy or wind power. The turbines are used for an increasingly important source of wind power-produced commercial electricity. The utilization of wind turbines can be a great way to capture the energy of the wind in a bid to convert this into useable electricity. Harnessing the winds energy with a wind turbine can provide a source of clean and renewable electricity for large or small industries. Wind energy is undoubtedly one of the cleanest forms of producing power from a renewable source. There is no pollution, there is no burning of fossil fuels, and unless something very drastic happens, you don’t run out of wind. But it’s not like we can erect a wind turbine anywhere and it will start generating power. There are lots of factors that can make an impact on the amount of energy we can generate out of wind, such as wind speed, height or altitude & the rotor size. Recent researches have been done to regulate the rotor speed & reduction of the component loads with the help of feed forward controllers. Wind speeds measured by light detection & ranging system (LIDAR) will give information of wind variations at various distances and so are used along with FX-RLS feed forward controllers for better tracking & better load reduction when the wind turbine is running at beyond its operating point. Keywords: FX-RLS feed forward algorithm, LIDAR. 2. K.Stol and M.Balas, “Periodic disturbance accommodating control for blade load mitigation in wind turbines” ASME J. Solar Energy Eng., vol.125, no 4, pp.379-385,2003. 3. Laks, J., Pao, L., Wright, A., Kelley, N., and Jonkman, B., “Blade pitch control with preview wind measurements,” in Proc. 48th AIAA Aerospace Sciences Meeting, Orlando, FL, AIAA-2010-251, Jan. 2010. 4. Dunne, F., Pao, L., Wright, A., Jonkman, B., and Kelley, N. “Combining standard feedback controllers with feedforward blade pitch control for load mitigation in wind turbines,” in Proc. 48th AIAA Aerospace Sciences Meeting, Orlando, FL, AIAA-2010-250, Jan. 2010. 5. Laks, J., Pao, L., and Wright, A., “Combined feedforward/feedback control of wind turbines to reduce blade flap bending moments,” in Proc. 47th AIAA Aerospace Sciences Meeting, Orlando, FL, AIAA-2009-687, Jan. 2009. 6. Laks, J, Pao, L., Simley, E., Wright, A., Kelley, N. , and Jonkman, B.,“Model predictive control using preview measurements from LIDAR,” in Proc. 49th AIAA Aerospace Sciences Meeting, Orlando, FL, Jan. 2011. Abstract: This paper presents the State-of-the-Art and recent trends of SCADA system Architecture, which is usually three layer SCADA system architecture depending on open system technology rather than a vendor controlled, Proprietary technology. A Real-time Industrial process is simulated (water level controller), and a complete three-layer model SCADA system is developed for this process: supervision control layer, Process control layer and field Instrument layer. National Instrument’s LabVIEW with the associated Data Logging and Supervisory Control Toolset (DSC) is used to develop the SCADA/HMI in supervision layer. Industrial Programmable Logic Controllers (PLCs) from Delta, DVP 14SS and related software package are used to build up process control layer. Finally simulation unit is designed and developed to be used as field instrument layer. MODBUS protocol is used to solve compatibility problem raised from different vendors’ tools. This work represented the real time implementation of water level application and gives its results for showing its effective implementation. This is made by communicating Delta DVP-14SS PLC to the PC with LabVIEW 2011 via MODBUS for controlling water level. Keywords: SCADA, DCS, RTU, LabVIEW. 1. Mohamed Endi, Y. Z. Elhalwagy and Attalla hashad, “Three-Layer PLC/SCADA System Architecture in Process Automation and Data Monitoring” IEEEC – 2010,Volume 2, 978-1-4244-5586, pp 774-779. 2. Nargalkar Akshay, K. Uday Sravanth, Rahul Varanasi and J. Ankitha Reddy, “Real Time Automated Control of Industrial Processes with PLC –LABVIEW Communication”, International Journal for Research in Science & Advanced Technologies ISSN: 2319-2690 Issue-1, Volume-1, pp 035-038. 3. Nader N. Barsoum and Pin Rui Chin, “Ethernet Control AC Motor via PLC Using LabVIEW”, Intelligent Control and Automation, November 2011, 2, pp 330-339. 4. R.Shwetanjali, A.Navya and Mrs. Anitha Karthi, “PLC Based Automated Packing Station Using National Instrument’s LabVIEW Software Package”, International Conference on Computing and Control Engineering (ICCCE 2012), 12 & 13 April, 2012, ISBN 978-1-4675-2248-9, pp 1-7. 5. “Introduction to MODBUS”, http://www.ni.com/white-paper/7675/en/, Publish Date: Nov 21, 2012, pp 1-7. 6. “MODBUS Application Protocol Specification V1.1b”, http://www.MODBUS.org/docs/MODBUS_Application_Protocol_V1_1b pdf, December 28, 2006, pp 1-51. 7. “Using MODBUS for Process Control and Automation”, http://www.isa.org/FileStore/Intech/WhitePaper/Using%20MODBUS%20for%20Process.pdf pp 1-7. 8. “Understanding the MODBUS Protocol”, http://jamod.sourceforge.net/kbase/protocol.html. 9. “DVP-PLC Application Manual”, http://www.kalatec.com.br/plc/MANUAL/EXEMPLOS_DE_APLICACAO-CLP_DVP.pdf, pp 1-892. 10. “PLC RS232/RS485 send frames”, http://deltautomation.wordpress.com/2013/04/30/plc-rs232rs485-send-frames/, pp 1-2. Abstract: Here, we proposed the algorithm which is being used to compare the Integrated route cost of all available routes in NRSL algorithm  get designed by us. It finds out the best two routes from all the available routes. Out of these two, the best is selected as the primary path and second one as backup path. Finally, we alleviated the overall network cost to improve the Cost effectiveness of Optical Fiber networks by minimizing the required capacity, or wavelengths, needed for a given demand. We put our concern to decide the classic optimization parameters of any optimization problem. Keywords: WDM, Survivability, Restoration, Cost Effectiveness, Resource optimization, OEO. 1. Anil K. Kamboj, Paramjeet Singh, Shaveta Rani, “Wavelength Division Multiplexing Routing Algorithm for Optical Fiber Networks Proactive Survivability”, IJCSITRE, vol. 3, Issue-3, May-June-2013. 2. Kefei Wang, “Resource Optimization and QoS for WDM Optical Networks”. 3. C. Murthy and M. Guru Swamy, “WDM Optical Networks”, Prentice Hall PTR. 4. Tianjian Li, “On Optimal Survivability Design in WDM Optical Networks under Scheduled Traffic Models”, Doctor of Philosophy, Wright State University, March, 2007. 5. Ramamurthy, S., Sahasrabuddhe, L. and Mukherjee, B. (2003). Survivable WDM mesh networks. Journal of Lightwave Technology 21:870-883. 6. Zhou, D. and Subramanian, S. (2000). Survivability in optical networks. IEEE Networks 14:16-23. 7. R. Ramaswami and K. N. Sivarajan, “Optical networks: a practical perspective”, 2nd ed. San Francisco, Calif.: Morgan Kaufmann, 2002. 8. Shaveta Rani , Paramjeet Singh, Ajay K. Sharma, “Distributed control based survivability strategy for WDM optical networks” Seventh International Conference on Optoelectronics, Fiber Optics and Photonics, (PHOTONICS-2004) p2.112. 9. Manoj Sivakumar and Krishna M. Sivalingam, “A Routing Algorithm Framework for Survivable Optical Networks Based on Resource Consumption Minimization”, Journal of Lightwave Technology, vol. 25, no.7, pp. 1684-1692, July 2007. 10. Vishal Anand and Chunming Qiao “Effect of Wavelength Conversion in Survivable Wavelength Routed Optical WDM Networks with Alternate Routing” 2002. 11. Byungkyu Kang “Design of Survivable WDM Network Based on Pre-Configured Protection Cycle”. Thesis of Master of Science, EDITH COWANN University, Western Australia, August 2006. 12. Albert Dirk Gazendam, “The design of Physical and Logical Topologies for Wide Area WDM Optical Network”. Thesis of Master of Engineering, University of Pretoria, Pretoria, December, 2003. 13. Ji Li, “Design and Analysis of Survivable WDM Mesh Network” Doctor of Philosophy, University of Hong Kong, April, 2007. 14. Paramjeet Singh, “Investigations on Routing and Wavelength Assignment Algorithms in WDM Optical Networks”. 15. Manoj Sivakumar and Krishna M. Sivalingam, “A Routing Algorithm Framework for Survivable Optical Networks Based on Resource Consumption Minimization” Journal of Lightwave Technology, vol. 25, no. 7, July 2007. Abstract: This research established visualization and growth methods that were initially developed for smooth, nonporous materials for application to rough, porous materials for the purpose of evaluating sparse biofilms. The basic concept of using fluorochromes and confocal laser scanning microscopy (CLSM) to visualize and quantify biota established using smooth surfaces has been extended to topographic surfaces by using additional analyses described herein. The study established that rough, opaque, porous surfaces like mortar colonized with biota can be visualized using CLSM and topographic relief of rough surfaces can be identified by collecting light reflected off the material surface. Volumes of biomass per unit area of surface can be established using optical sectioning to generate image stacks and simple stochastic modeling. Thus, growth accumulation on rough surfaces can be visualized and measured. Keywords: Confocal Laser Scanning Microscopy, Crack Dating, Forensic Engineering, Infrastructure Health. 1. L. Sullivan-Green (2008) Quantification of Biomass Accumulation on Building Surfaces through Simulation of Natural Modes of Deposition. PhD Dissertation. Department of Civil and Environmental Engineering. Northwestern University. 2. L. Sullivan-Green, C.H. Dowding, M. Haunser and B. Prince (2012) Sparse colonization and cultivation of bacteria on construction surfaces under zero-shear conditions. International Journal of Applied Science and Technology. Vol 2, No. 1 January 2012. 3. H. Daims and M.Wagner (2007) Quantification of uncultured microorganisms by fluorescence microscopy anddigital image analysis. Applied Microbiology and Biotechnology, 75, 237-248. 4. K.E. Kurtis, et al. (2003). Examining cement-based materials by laser scanning confocal microscopy. Cement and Concrete Composites, 25, 695-701. 5. D.A. Lange, H.M. Jennings and S.P. Shah (1993) Analysis of surface roughness using confocal microscopy. Journal of Material Science, 28, 3879–84. 6. S. Mindess and J.F. Young (2002) Concrete, 2nd edition, Prentice Hall, Inc., Englewood Cliffs, N.J.
7. Campbell, D.H. et al. (1991) “Detecting Carbonation”, Concrete Technology Today, Vol. 12, No. I. 8. Klausen M. et al. (2006).Dynamics of development and dispersal in sessile microbial communities: examples from Pseudomonas aeruginosa and Pseudomonas putida model biofilms. FEMS Microbiology Letters, 261, 1-11. 9. Madigan, M.T., J.M. Martinko, J.M. and Parker, J. (2003). Brock Biology of Microorganisms. Pearson Education, Inc. Upper Saddle River, NJ. 11. Reasoner, D.J. (2004). Heterotrophic Plate Count Methodology in the Unites States. International Journal of Food Microbiology, 92, 307-31. Abstract: Continuous rise in the conventional fuel prices and shortage of its supply have increased the interest in the field of the alternative sources for petroleum fuels. In this present work, experimentation was carried out to study the performance and emission characteristics of mahua oil and ethanol blends. For this experiment a single cylinder, four stroke, air cooled diesel engine was used. Initially the engine was run on diesel fuel and the readings were recorded. Then the engine was run on mahua oil and its different blends with ethanol. The blends containing 5, 10 and 15 percent ethanol fuel by volume were denoted as M5, M10 and M15 respectively. The tests were carried out over entire range of engine operation at varying conditions of load. The engine performance parameters studied were brake horse power, brake specific fuel consumption and brake thermal efficiency. The emission characteristics studied are CO, HC, CO2 and smoke opacity. Brake thermal efficiency is high at low and medium loads. For M5 there is 5.1% increase in brake thermal efficiency compared to diesel at low loads. From emission of blends, it is found that HC reduces 11%, CO and smoke decreases by 19% and 33.7% when compared to those of diesel. The present experimental results show that mahua oil and ethanol blends can be used as an alternative fuel in diesel engine. Keywords: Biodiesel, Mahua Oil, Transesterification, Ethanol, Performance, Emissions. 1. “Report of the committee on development of Bio-fuel”, Planning commission, Govt. of India, New Delhi, 2003. 3. S.K. Mahla, L.M. Das, M.K.G. Babu, 2009"Effect of EGR on Performance and Emission Characteristics of Natural Gas Fueled Diesel Engine", Jordan Journal of Mechanical & Industrial Engg, , Vol. 4, Number 4, Sept 2010, pp 190-197. 4. S.K. Mahla, L.M. Das, M.K.G. Babu, 2009 “Utilization of CNG and Biodiesel blend in a DI diesel engine, Biomass & Bioenergy,. 8. Nafis Ahmad – 1, A Y F Bokhary, “A Comparative Study of Performance and Emissions Characteristics under Pure Diesel and Blends of Alternative Fuels of a C I Engine”, International Journal of Mechanical & Mechatronics Engineering IJMME-IJENS Vol: 10. Abstract: This paper proposes model based technique to control the horizontal position of a helicopter. The main constraint in the controller design is that not many states are measurable, and that the available sensor information is highly corrupted by noise. Here, the change in the declining angle of rotor is used to steer the helicopter in a straight line. The design is constrained to keep other parameters within the specified limits. The controller design is based on a combination of Kalman filter observer along with optimal linear quadratic Gaussian (LQG) controller. The design is implemented in two steps. First, Kalman filter is used to design an observer that estimates two desired states of a helicopter: rotator angle and horizontal position. Second, state feedback controller gain is estimated using the linear quadratic criterion function. The state controller enhances the regulation performance, while minimizing cost of control effort. Simulation results prove the credibility of Kalman filter observer by comparing the estimated states such as position and angle with the model output. In addition, the performance of LQG controller is examined by incorporating servo control mode that reduces the effort to compute error between reference and measured position. Keywords: Helicopter system, Kalman filter observer, linear quadratic gaussian controller, state space model. 1. Heredia, G. & Ollero, A. 2009, "Sensor fault detection in small autonomous helicopters using observer/Kalman filter identification", Mechatronics, 2009. ICM2009. IEEE International Conference on IEEE, pp. 1. 3. Sohlberg, B. 2003, "Grey box modelling for model predictive control of a heating process", Journal of Process Control, vol. 13, no. 3, pp. 225-238. 4. Lightcap, C.A. & Banks, S.A. 2010, "An extended Kalman filter for real-time estimation and control of a rigid-link flexible-joint manipulator", Control Systems Technology, IEEE Transactions on, vol. 18, no. 1, pp. 91-103. 5. Rigatos, G.G. 2010, "Extended Kalman and Particle Filtering for sensor fusion in motion control of mobile robots", Mathematics and Computers in Simulation, vol. 81, no. 3, pp. 590-607. 6. Sung, W., Lee, S. & You, K. 2010, "Ultra-precision positioning using adaptive fuzzy-Kalman filter observer", Precision Engineering, vol. 34, no. 1, pp. 195-199. 7. Martin, P. & Salaün, E. 2010, "Design and implementation of a low-cost observer-based attitude and heading reference system", Control Engineering Practice, vol. 18, no. 7, pp. 712-722. 8. He, H., Xiong, R., Zhang, X., Sun, F. & Fan, J. 2011, "State-of-charge estimation of the lithium-ion battery using an adaptive extended Kalman filter based on an improved thevenin model", Vehicular Technology, IEEE Transactions on, vol. 60, no. 4, pp. 1461-1469. 9. Wang, Weiwen, and Zhiqiang Gao. "A comparison study of advanced state observer design techniques." American Control Conference, 2003. Proceedings of the 2003. Vol. 6. IEEE, 2003. 10. Bak, D., Michalik, M. & Szafran, J. 2003, "Application of Kalman filter technique to stationary and non stationary state observer design", Power Tech Conference Proceedings, 2003 IEEE Bologna IEEE, , pp. 6 pp. Vol. 3. 11. Khan, A.Q., Mustafa, G. & Iqbal, N. 2005, "LQG/LTR based controller design for three degree of freedom helicopter/twin rotor control system", 9th International Multitopic Conference, IEEE INMIC 2005IEEE, , pp. 1. 12. Liang, L., Yao, X., Shang-cheng, D. & Yu-yi, Z. 2005, "The Application of Linear-Quadratic Gaussian Control Theory for Sub-mini Helicopter", High Density Microsystem Design and Packaging and Component Failure Analysis, 2005 Conference on IEEE, pp. 1. 13. Wang, T., Chen, Y., Liang, J., Wang, C. & Zhang, Y. 2012, "Combined of vector field and linear quadratic Gaussian for the path following of a small unmanned helicopter", IET Control Theory & Applications, vol. 6, no. 17, pp. 2696-2703. 14. Cai, G., Cai, A.K., Chen, B.M. & Lee, T.H. 2008, "Construction, modeling and control of a mini autonomous UAV helicopter", ICAL 2008. IEEE International Conference on IEEE, pp. 449. 15. van den Berg, J., Wilkie, D., Guy, S.J., Niethammer, M. & Manocha, D. 2012, "LQG-obstacles: Feedback control with collision avoidance for mobile robots with motion and sensing uncertainty", Robotics and Automation (ICRA), 2012 IEEE International Conference, pp. 346. 16. Morris, J.C., Van Nieuwstadt, M. & Bendotti, P. 1994, "Identification and control of a model helicopter in hover", American Control Conference, 1994 IEEE, pp. 1238. 17. Rago, C., Prasanth, R., Mehra, R. & Fortenbaugh, R. 1998, "Failure detection and identification and fault tolerant control using the IMM-KF with applications to the Eagle-Eye UAV", Decision and Control, 1998. 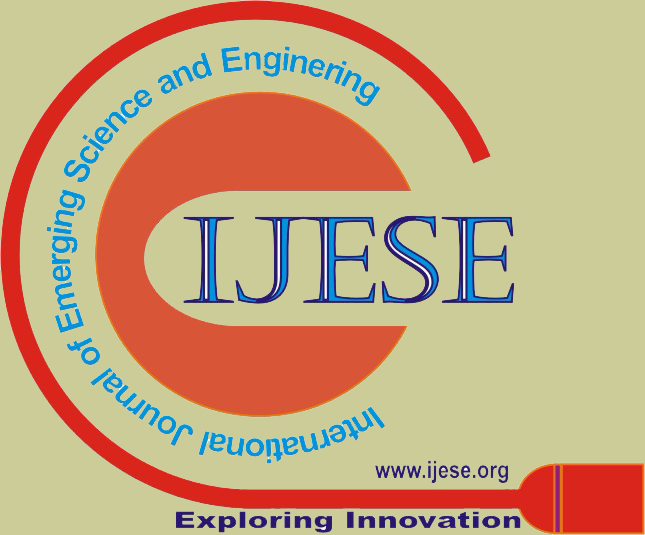 Proceedings of the 37th IEEE Conference, pp. 4208. 20. E. Hendricks, O. Jannerup and P. H. Sørensen, "Optimal observers: Kalman filters," in Linear Systems ControlAnonymous Springer, 2008, pp. 431-491. 22. M. S. Grewal and A. P. Andrews, Kalman Filtering: Theory and Practice using MATLAB. Wiley, 2011. .
23. G. Bishop and G. Welch, "An introduction to the kalman filter," Proc of SIGGRAPH, Course, 8, 2001. Abstract: Indoor Positioning Systems (IPS) have gained popularity for their potential application to track people in risky environments or in rescue missions. This paper looks at how an Arduino combined with a foot-mounted inertial measuring unit (IMU) can be used to provide absolute positioning despite the presence of drift in the inertial unit. The IMU we have used contains a tri-axis accelerometer, a tri-axis gyroscope and a tri-axis magnetometer. The orientation was calculated using quaternion output from the IMU which uses gyroscope with drift correction performed by referencing the earth’s gravity for pitch and roll and the geomagnetic field from magnetometer for heading. Acceleration signal outputted by the IMU is doubly integrated with time that yields the travelled distance. During the preceding time instants, the position information becomes increasingly untrustworthy and the validity of the position updates decays. So, we used a smoother algorithm based Kalman filter for better estimation accuracy in position estimation. A second method for distance measurement was implemented which uses an algorithm that measures the distance traveled by counting the number of steps. The step length determination was made by an algorithm that takes the angle between legs made by the accelerometer and gyroscope. Experiments were conducted on different scenarios and the results were compared which indicate that the typical positioning accuracy is below 5% for both methods. Issues and proposed improvements to the system are also discussed in this work. Keywords: IPS, IMU, Kalman Filter, Arduino, Quaternion. 1. M. Addlesee, R. Curwen, S. Hodges, J. Newman, P. Steggles, A. Ward, and A. Hopper. Implementing a sentient computing system. Computer, 34(8):50–56, 2001. 2. Foxlin. Pedestrian tracking with shoe-mounted inertial sensors. Computer Graphics and Applications, IEEE, 25(6):38–46, 2005. 3. S. Godha, G. Lachapelle, and M. E. Cannon. Integrated GPS/INS system for pedestrian navigation in a signal degraded environment. In ION GNSS 2006, 2006. 4. Lawrence A.,″Modern Inertial technology″, 1993, springer verlag. 5. R.G. Brown and P.Y.C. Hwang, ″Introduction to Random signals and Applied Kalman filtering″. 6. D. Titterton and J. Weston. Strapdown Inertial Navigation Technology. The American Institute of Aeronautics and Astronautics, 2nd edition, 2004. 7. Y. Bar-Shalom, X. Rong Li, T. Kirubajan, Estimation with applications to tracking and navigation, Wiley-Interscience, 2001. 8. Gil, J.-S., Cho, Y.-D., and Kim, S.-H.: Design of a low-cost inertial navigation system with GPS for car navigation system, in:Proc. of the 5th World Congress on ITS, 1998. 9. Chin-Woo Tan and Sungsu Park, GPS-Aided gyroscope-free inertial navigation systems, WebPage of PATH, University of California at Berkeley. 12. Myungsoo Jun, Stergios I. Roumeliotis, Graurav S. Sukhatme, ″State estimation of an autonomous helicopter using kalman filtering,″Proceeding of the 1999 IEEE/RSJ, International Conference on Intelligent Robots and Systems. Abstract: In this paper, we provide an interval of existence of negative critical mortality rate parameters Mr and b in Allometry survival model, in the absence of age-speci c mortality data by age. Keywords: Allometry, critical age, exponential growth, linear growth, mortality rate, , negative critical age. 1. G. B. West, W. H. Woodruff, and J. H. Brown, “Allometric scaling of metabolic rate from molecules and mitochondria to cells and mammals”, PNAS., vol. 99, 2002, pp. 2473-2478. 2. C. A. Darveau, R. K. Suarez, R. D. Andrews, and P. W. Hochachka, “Allometric cascade as a unifying principle of body mass effects on metabolism”, Nature., vol. 417, 2002, pp. 166-170. 3. D. L. Stern and D. J. Emlen, “The developmental basis for allometry in insects”, Development., vol. 126, 1999, pp. 1091-1101. 4. A. W. Shingleton, W. Antony Frankino, T. Flatt, H. F. Nijhout, and D. J. Emlen, “Size and shape: The developmental regulation of static allometry in insects”, Bio Essays., vol. 29, 2007, pp. 536-548. 5. V. S. Troynikov, “Probability Density Functions Useful for Parametrization of Heterogeneity in Growth and Allometry Data”, Bul. Math. Biol., vol. 60, 1998, pp. 1099-1122. 6. W. A. Calder III, “Body size mortality and longevity”, J. Theor. Biol., vol. 102, 1983, pp. 135-144. 7. J. S. Huxley and G. Tessier, “Terminologie et notation dans la description de la croissance relative”, Comptes rendus séances soc. Boil. Fil., vol. 121, 1936, pp. 934-937. 8. J. S. Huxley, Problems of relative growth, London: Methuen, New York: Dover, 1972. 9. M. Kleiber, The fire of life, New York: Wiley, 1961. 10. R. C. Heidinger,” Stocking for sport fisheries enhancement. Inland fisheries management in North America”. 2nd ed. Edited by C. C. Kohler and W. A. Hubert. American fisheries society, Bethesta, Md., 1999, pp. 375-401. 11. I. G. Cowx, “Stocking stratigies” Fish. Manag. Ecol. , 1994, pp. 15-31. 12. D. H. Wahl, R. A. Stein, and D. R. DeVries, “An ecological frame work for evaluating the success and effects of stocked fishes”, Am. Fish..Soc. Symp.vol. 15, 1995, pp. 176-189. 13. K. Lorenzen, “Population dynamics and management of culture based fisheries”, Fish. Manag. Ecol. Vol. 2, 1995, pp. 61-73. 14. I. Peterson, and J. S. Wroblewski, “Mortality rate of fishes in the pelagic ecosystem”, Can. J. Fish. Aquat. Sci., vol. 41, 1984,pp. 1117-1120. 15. K. Lorenzen, “The relationship between body weight and natural mortality in fish: a comparison of natural ecosystem and aquaculture”, J. Fish Biol., vol. 49, 1996, pp. 627-647. 16. K. Lorenzen, “Allometry of natural mortality as a basis for assessing optimal release size in fish-stocking programmes”, Can. J. Fish. Aquat. Sci., vol. 57, 2000, pp. 2374-2381. 17. A. Brooks, G. J. Lightgow, and T. E. Johnson, “Mortality rates in a genetically heterogeneous population Caenorhabditis elegans”, Science., vol. 263, 1994, pp. 668-671. 18. M. Written, Reliablity theoretic methods and aging: Critical elements, hierarchies and longevity- interpreting biological survival curves, Molecular biology of aging, Eds., A. Woodhead, A. Blachett, and A. hollaender, New York, 1985. 19. E. S. Lakshminarayanan and M. Pitchaimani, “ Unique estimation of mortality rates in Gompertz survival model parameter”, Appl. Math. Lett., vol. 16, 2003, pp. 211-219. 20. C. E. Finch, M. C. Pike and M. Written, “Slow mortality rate accelerations during in some animals approximate that of humans”, Science, vol. 249, 1990, pp. 902-905. 22. M. Written, “ A return to time, cells, systems and aging: Relational and reliability theoretic approaches to the study of senescence in living system”, Mech. Aging and Dev., vol. 27, 1984, pp. 323-340. 23. J. F. Lawless, Stastical models and methods for lifetime data, John Wiley and Sons, New York, 1982. 24. M. Written and W. Satzer, “Gompertz model survival parameters: Estimation and sensitivity”, Appl. Math. Lett., vol. 5, 1992, pp. 7-12. 25. S. S. Heppell, C. Pfister, and H. de Kroon, “ Elasticity analysis in population biology: methods and applications”, Ecology, vol. 81, 2000, pp. 606-612. 26. Fujiwara and H. Caswell, “Demography of the endangered North Atlantic right whale”, Nature, vol. 414, 2001, pp. 537-541. 27. A. Lopez, Problems in stable population theory, Princeton University Press, Princeton, 1961. 28. S. D. Tuljapurkar, Population dynamics in variable environments, Springer- Verlag, New York, 1990. 29. M. Pitchaimani, “Uniqueness of allometry model parameters”, J. Appl. Math. Comput., vol. 28, 2008, pp. 485-500. 30. M. Pitchaimani, “Existence of a Critical allometry model parameters and its asymptotic expression”, J. Appl. Math. Comput., vol. 41, 2013, pp. 133-152. 31. M. Pitchaimani, “Existence of allometry model parameters and their asymptotic formulae for a large population”, J. Appl. Math. Comput., vol. 35, 2011, pp. 143-159. 32. Suematsu and M. Kohno, “Age invariant invariant of Gompertz function and exponential decay of populations commensuration with CLOV experiments ”, J. Theoret. Biol., vol. 201, 1999, pp. 231-238. 33. I. S. Gradshteyn and I, M. Ryzhik, Table of Integrals, Series and Products, Academic Press, 1980. 34. C. G. Knight, M. N. Patel, R. B. R. Azevedo, and A. M. Leroi, “A novel mode of ecdysozoan growth in Canenorhabditis elegans”, Evol. And Devel., vol. 4:1, 2002, pp. 16-27. 35. W. W. Alpatov, “Growth and variation of the larvae of Drosophila melanogaster”, J. Exp. Zool. , vol. 52, 1929, pp. 407-437. 36. A. L. Rice, “Growth rules and the larvae of decapods crustaceans”, J. Nat. Hist., vol. 2, 1969, pp. 525-530. 37. R. E. Howells, and L. J. Blainey , “The moulting process and the phenomenom of intermoult growth in the filarial nematode” brugia pahangi. Parasitology,,vol.87, 1983, pp. 493-505. 38. A. G. Wilson, “Nematode growth patterns and the moulting cycle: the population growth profile”. J. Zool .vol. 179, 1976, pp. 135 – 151. 39. M. Estevez, L. Attisano, J. L. Wrana, P. S. Albert,J. Massagu and D. L. Riddle, “The daf-4 gene encodes a bone morphogenetic protein – receptor controlling C.elagans dauer larva development”. Nature, vol. 365, 1993, pp. 644 – 649. 40. L.A. Johnston, D.A. Prober, B.A. Edgar, R. N. Eisenman, and P. Gallant, “Drosophila myc regulates cellular growth during development”, Cell, vol. 98, 1999, pp. 779 – 790. 41. S. Oldham, R. Bohni, H. Stocker, W. Borgiolo, and E. Hafen, “Genetic control of size in Drosophila”, Phil. Trans. R. Soc. Lond. B Biol. Sci.vol. 355, 2000, pp. 945 – 952. 42. D. L. Riddle, T. Blumenthal, and J. R. Priess, C. elegans II. Cold Spring Harbor Laboratory Press, Cold Spring Harbor, MA. 1997. 43. L. Byerly, R. C. Cassada, and R. L. Russell, “The life cycle of the nematode Canenorhabditis elegans”. Dev. Biol. Vol. 51,1976,pp. 23 – 33. 44. J. W. Curtsinger, H. H. Fuki, D. R. Townsend, J. W. Vaupel. “Demography of genotypes: Failure of the limited life span paradigm in Drosophila melanogaster”, Science vol. 258, 1992, pp. 461 – 463. 45. H. H. Fukui, L. Xiu, J. W. Curtsinger, “Slowing of age-specific mortality rates in Drosophila melanogaster”, Exp. Gerontal. Vol. 28 1993, pp. 585 – 599. 46. James R. Carey, Pablo Liedo, Dina Orozco, James W. Vaupel, “Slowing of mortality rates at older ages in large medfly cohorts”, Science vol, 258, 1992, pp. 457 – 461. 47. S. Wang, T. matsushita, H. Kogishi, C. Xia, T. Chiba, M. Hosokawa, K. Higuchi, “Type B apoA – II and SAM”, Biomed. Gerontal. 22, 26, 1998.